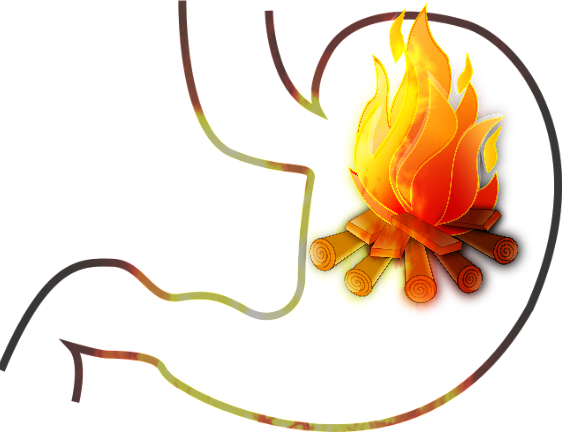 Heart burn: Four Effective Traditional Remedies – Dr. Nishal R.
This is an age old remedy for instantly reducing acidity and normalizing the secretions in the stomach and GIT. It is a known thing that the sensation of “acidity” is not caused by an increase in acid, but by a reduction in acid due to several factors including inflammation – this causes the esophageal sphincter to not work properly and results in the contents of the stomach re-entering the esophagus and resulting in the feeling of “acidity”. Indian Gooseberry normalized gastric secretions due to its various acid based constituents such as citric acid, ascorbic acid, gallic acid, ellagic acid, and several due to its anti-inflammatory and muco-lytic properties. When consuming Amla, you will feel an instantly cooling sensation as it goes down. You can use an Amla supplement or consume the fresh fruit. One of the other causes of Acidity is the bacteria known as H.Pylori. This bacteria causes acidity and can eventually lead to gastric ulcers. Licorice root is effective in eradicating this bacteria, hence why it is even used in the case of ulcers. Licorice Root is also an antacid and is extremely cooling in nature, therefore it is used extensively in Ayurvedic Medicine for solving acid related complains. A teaspoon of Licorice in a glass of room temperature water should do the trick. This can be taken twice a day. Do not consume too much as it may cause nausea and/or vomiting as well as high blood pressure. (this is not the same as licorice candy). Also, do not consume this for more than 8 days. A safer option than standard Licorice root is “Deglycyrrhizinated Licorice Root”, this does not increase blood pressure or cause absorption issues and can be used long term. This breathing exercise will cool down your entire body due to its refrigerant effect. According to the ancient yogic texts, it helps in weak digestion, acidity and other heat related issues of the stomach, chest and throat. In my clinical experience, this breathing exercise helps to reduce nausea, acidity and poor appetite. Sit up straight and keep your palms on your knees. Roll the tongue from the sides so that it forms a tube. The tongue should be folded from both the sides and the edges and almost meet at the center on the top. Breathe in slowly via the mouth through this tube you have made with your tongue. Fill up the abdomen, chest and neck. The air will feel very cool going down. Bring the tongue back to its normal position, close you mouth and breath out through your nose. This is one round of yogic breathing. Repeat this a few times for 2-3 minutes.